Among orchards of the Val di Non and shimmering lakes, the castles in Trentino stand out against the sky with their tales full of history and legends. 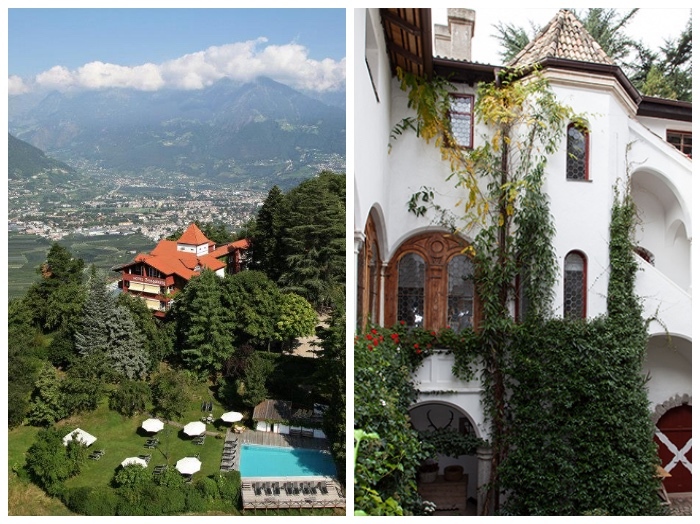 The Trentino Alto Adige boasts an extraordinarily rich heritage and in this post I’ll make a list of the castles to visit and the castles you can sleep in. The Castello del Buonconsiglio is high on the list of the castles in Trentino. It was the residence of the prince bishop of Trento at the beginning, then military base in the 19th century and has been a museum since 1924. Located in the very heart of the city of Trento, it is a building in which different styles and structures of different ages co-exist. You can’t miss out the Torre Aquila hosting the medieval painting cycle called “Ciclo dei Mesi” (Cycles of the Months). The castle was built in the mid 13thcentury on the top of a hill of the Val di Non. The building is majestic and its towers, walls, bulwarks and drawbridge make it the castle par excellence, that is to say it is exactly as a castle should be. 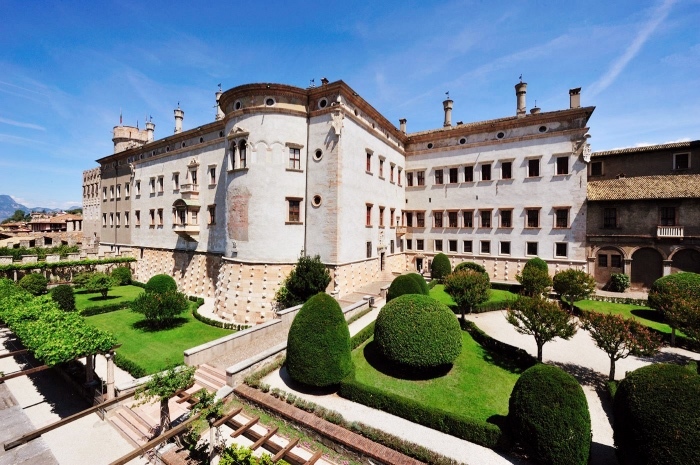 It houses precious furniture, a library containing 10,000 volumes, noble rooms with majolica stoves and an armoury. 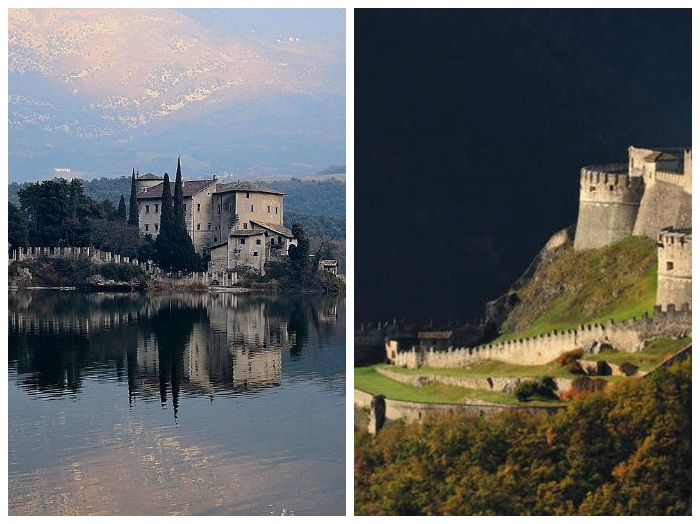 Castel Toblino is maybe the most romantic among the castles in Trentino, built on the shores of Lake Toblino and surrounded by a fairy-tale atmosphere. The first documented information about the existence of the castle dates back to 1124 and originally it was a fortress, but during the Renaissance it was converted into a noble dwelling. According to a legend, 2000 years ago it was inhabited by fairies. 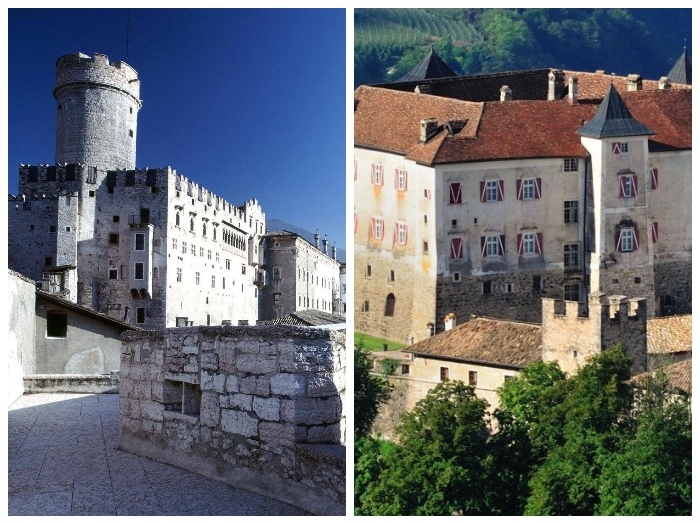 Castel Beseno is the largest fortress in Trentino and the most important in the Italian Alps. It occupied an area of 1,700 square meters and it stands on a former Roman village. You must see because you have the feeling that it includes the history of the whole Trentino Alto Adige region. I’ve already talked about the Castel Fragsburg in the post containing my suggestions about where to go to sleep in a castle in Italy. After all, among the castles in Trentino this is one of the most beautiful where you can enjoy a fairy-tale night. The building dates back to 1620, and its rooms tells the long and fascinating story of a castle built as a hunting lodge, which has been preserved and safeguarded by the third generation of the Ortner family, owner of the castle since 1954. A 12th-century castle surrounded by a park with centuries-old trees. It’s a dream come true because its period furnishings, paintings hung on the walls, tapestries and art objects of any sort make this place magical and unique. You can’t miss the 16th-century frescoes discovered only in 1984 and the late Gothic chapel dating back to 1455.